Good Monday everyone...here I am with another bookmarked recipe. Noticed many has tried and still trying out this cake, and the temptations tortured me to the max. Thus provoked me to bake it too! 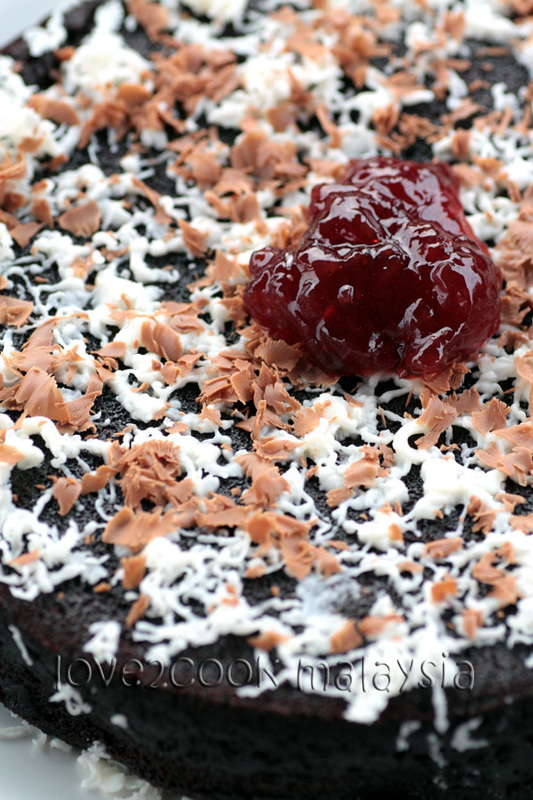 This would be the moistest chocolate cake I've eaten, seriously! Not just moisty but super moisty, that too eggless! 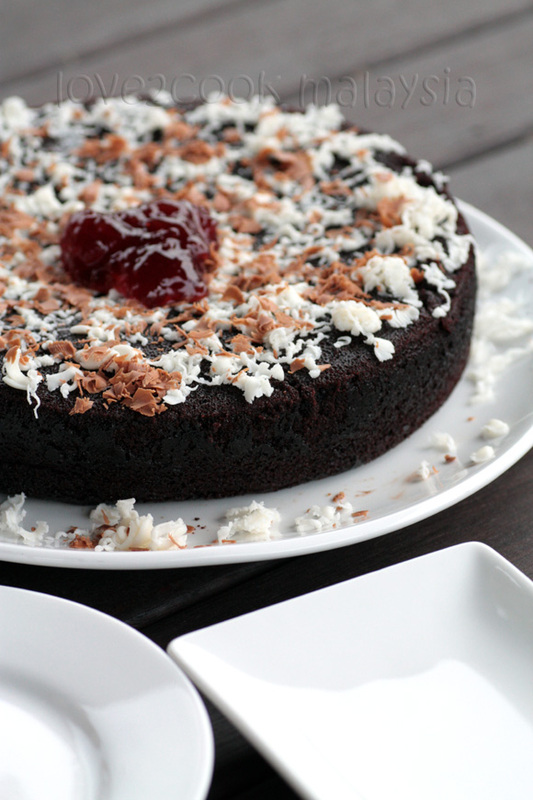 A cake which don't require chocolate toppings or ganache. Too good as it is...don't ya believe me? Recipe owned by a good friend of mine, Kak DayangJack from Dapurku Sayang. Thanks dear for sharing a wonderful recipe with us yet again. 1. Preheat oven to 160C. Grease and line a cake tin. 2. Sift flour with baking powder, bicarbonate of soda and cocoa powder in a large bowl. 3. Add milk powder, salt and sugar. Stir until well mixed. using a whisk. Make sure the mixture is not lumpy. 5. Finally add vinegar or lemon juice. Stir immediately the mixture until well combined. 6. Pour batter into the prepared tin and bake for 30-40 minutes or until done. 7. Cool the cake. Add your favourite toppings. p/s: This is a scheduled post. Cake looks delicious in presentation. Looks so attractive and mouthwatering. Wow that look sooooooooooo moist..looks so so delicious.. seriously so moist love it . This cake is looking super delicious. I don't eat eggs so I am always looking for good eggless recipes. Bookmarking this to try soon. Cant believe its eggless,cake looks very addictive and moist..
How moist and lovely the cake looks, lovely color! super yummy & moist cake??? And eggless???? Cooool!!! Love it already & shall try it out ASAP!! mesti melt in the mouth cake ni kan love..rasa dia kenyal je kan?.anak2 akak suka betul..
Wow, I have every excuse to have more than 2 slices of this! Looks super delicious and 'healthy' too! 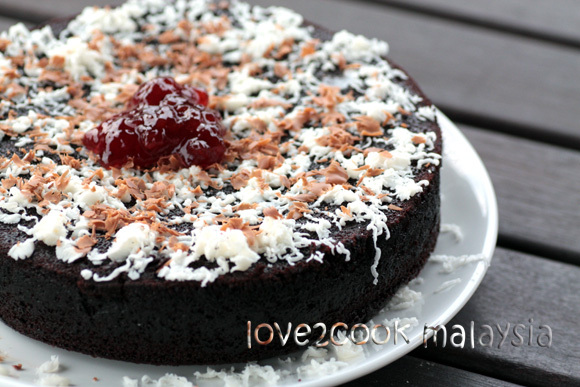 Love... Mmg sedap sgt2 kek ni kan.. Anak I pun dah suruh buat lagi sekali ni.. Cuma tak dak masa sbb si kecil tak boleh ditinggal2kan bermain sendiri.. Takut jatuh or terhantuk kepala.. Benjol pulak kang.. 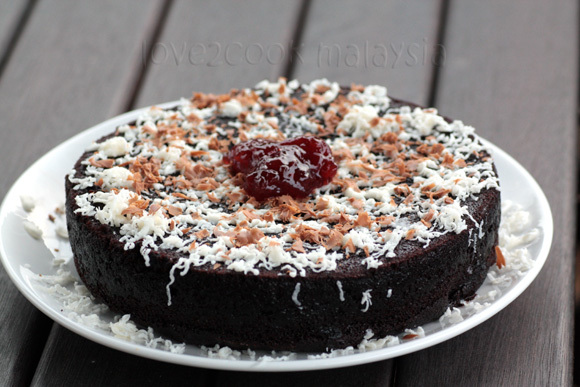 The cake looks so rich, moist and perfect..mmm..yummy! Ever drooling over your preparations,today is no exception. thats a temping n delicious cake ...awesome presentation..
Bookmarked. Delicious cake i am drooling. Too bad its 10.35pm and past my bedtime else I would have been in the kitchen making this cake. Fantastic looking cake, simply superb. EXQUISITA TORTA SE VE PRECIOSA ,LA MÚSICA ES MUY LINDA ME ENCANTA,CARIÑOS Y BUENA SEMANA,ABRAZOS. That look SOOO delicious and really moist! YUM! 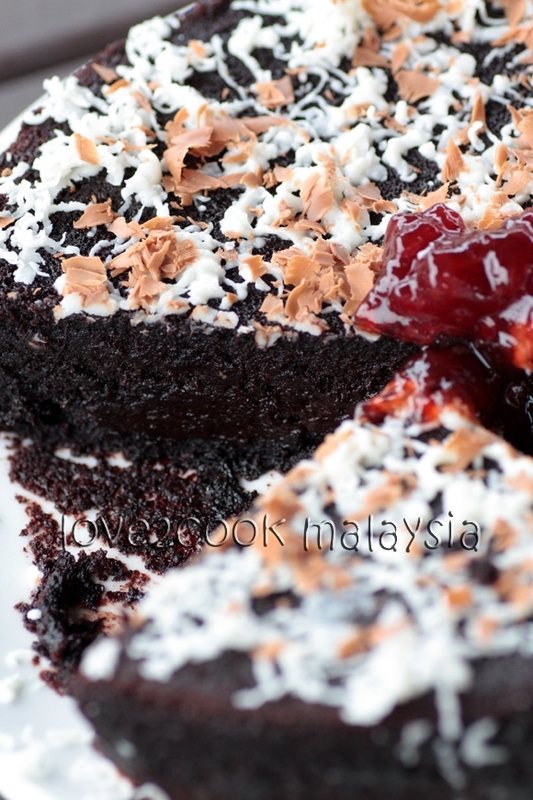 This is the best picture.. Out of the world.. Love the recipe..
Moist Chocolate Cake Great Deals @ Lidari! Hello Tba, it's a very good thing that you didn't give up. I'd sometimes bake the same cake 3-4 times if it didn't turn out well. If others are giving good remarks abt the recipe, then there must be a mistake in our side, I'd always think like that..hehe. Btw, glad this cake turned out good ya. Credits to the recipe owner. ;) Thanks for trying, cheers!